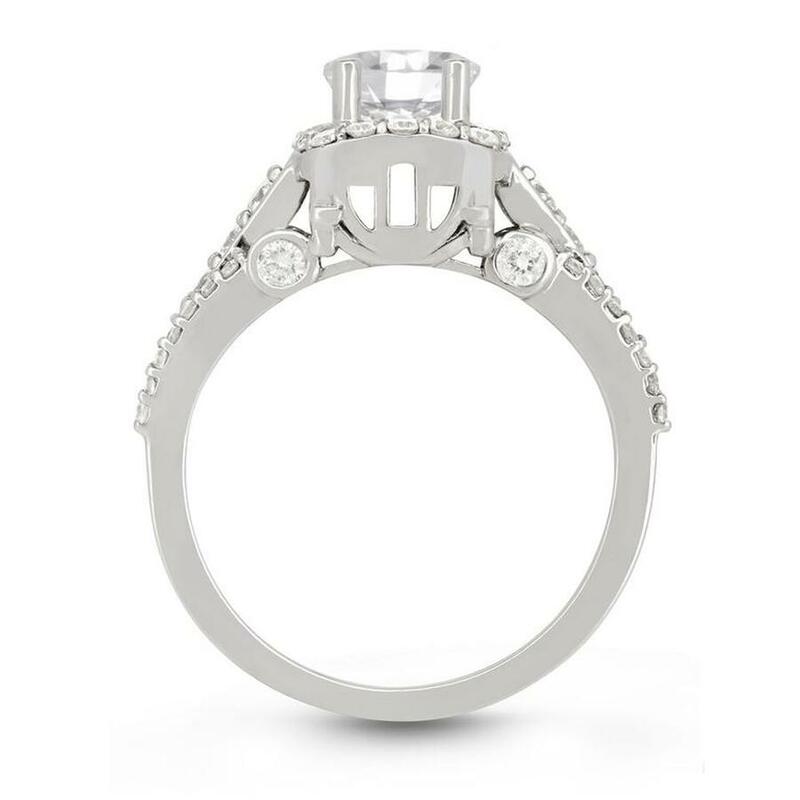 The bridal rings are inspired by the charm and grace of horse drawn carriages, that are only fit for a princess. 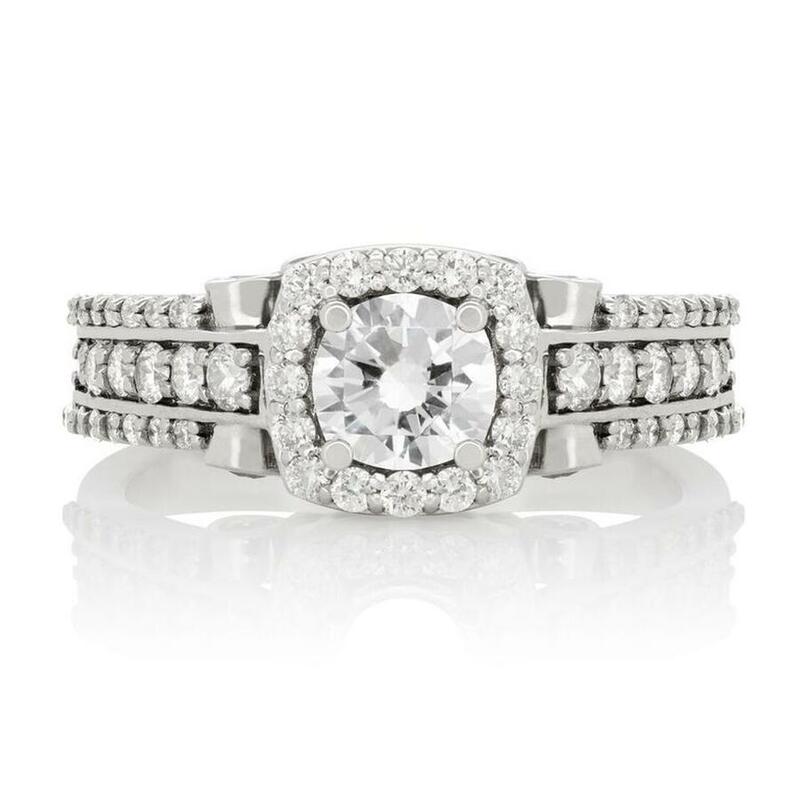 This ring is available in 14K White Gold. The center & accent stones have a total carat weight of 1.50 carats.